Elizabeth Plater-Zyberk is a founding principal of Duany Plater-Zyberk & Company. She is dean of the University of Miami’s School of Architecture, where she has taught since 1979. Having initiated the graduate program in Suburb and Town Design in 1988, Elizabeth continues to explore current issues in city growth and reconstruction with students and faculty. She has served as Director of the Center for Urban Community and Design, organizing and promoting numerous design exercises for the benefit of communities throughout South Florida. Elizabeth is a founder and emeritus board member of the Congress for the New Urbanism, established in 1993. The New York Times has characterized the New Urbanism as “the most important phenomenon to emerge in American architecture in the post-Cold War era.” She has co-authored two books: Suburban Nation: The Rise of Sprawl and the Decline of the American Dream and The New Civic Art. Elizabeth received her undergraduate degree in architecture and urban planning from Princeton University and her master’s degree in architecture from the Yale School of Architecture. She has received several honorary doctorates, the Brandeis Award for Architecture, the Thomas Jefferson Memorial Medal of Architecture from the University of Virginia, the Vincent J. Scully Prize for exemplary practice and scholarship in architecture and urban design from the National Building Museum, the Seaside Prize for contributions to community planning and design from The Seaside Institute, and the Richard H. Driehaus Prize, presented by the University of Notre Dame School of Architecture. She lectures frequently and has been a visiting professor at a number of schools of architecture in North America. 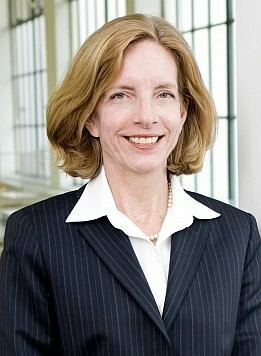 She has been a resident at the American Academy in Rome and for fourteen years served as a member of the Board of Trustees of Princeton University. She is a board member of the Institute of Classical Architecture.